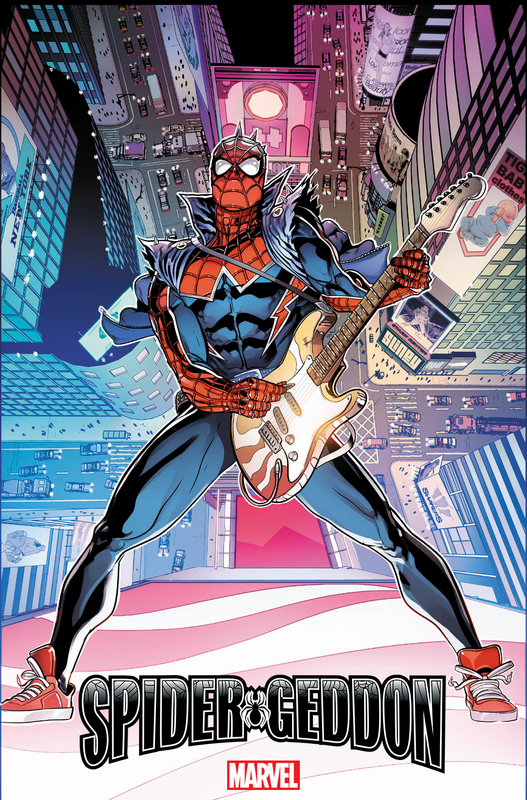 As part of Marvel’s ongoing “everything is as complicated as the Clone Saga” methodology for publishing Spider-Man comics, the publisher has revealed Will Sliney‘s variant cover to Spider-Geddon #1, featuring Spider-Punk. Spider-Geddon promises “new villains and old villains, shocking deaths and shocking returns, and all the Spider characters you can fit into one larger-than-life tale” according to the press release. Could this be the last time we see this inexplicably punk rock version of Spider-Man before he’s killed off as predicted by Bleeding Cool Rumourmonger-in-Chief Rich Johnston? Who knows? It’s a nice cover though. For those of you who simply couldn’t get enough Dan Slott Spider-stuff, Spider-Geddon #1 hits stores October 10th.